Our pilot project is due to the support and collaboration of a number of different companies and organizations all committed to the pursuit of building better homes. George Brown College (GBC) will monitor wall assemblies in the EnergySTAR future and Hybrid home to evaluate their capacity to manage the movement of heat and moisture effectively. GBC’s Building Science Research team includes Dr. P. Christopher Timusk, Steffanie Adams, Dahai Zhang and various GBC students. The goal is to look at alternatives to typical building methods in basements that would not only meet current Ontario Building Code, but also provide a more durable, sustainable and cost effective solution. The team will collect and transmit the data remotely for the duration of at least a full heating and cooling cycle, enabling reliable assessment of the durability and performance. ROCKWOOL manufactures stone wool insulation products for thermal protection, soundproofing and fire safety. ROXUL’s products are made from a combination of basalt rock and steel slag, giving them characteristics that are unique to other insulation materials. ROXUL is committed to developing and participating in innovative research projects that will help uncover areas where ROXUL’s unique characteristics can be used to overcome the challenges of modern energy, fire and building codes. ROXUL®’s partnership in this innovative research project with Empire Communities and George Brown College provides an opportunity to showcase high performance building systems. Dow Building Solutions serves the global building and construction markets with industry-leadinginsulation, air sealing and weatherization solutions for residential construction. Dow remains ahead of the curve to meet increasing energy codes by continuously participating in pilot projects such as these and testing new integrated systems for better energy efficiency, STYROFOAM™ Brand CLADMATE™ CM20 insulation was used in above grade walls and basement walls for insulation. Dow spray foam product for air sealing such as GREAT STUFF™ Pro Gaps & Cracks, Window & Door were used around the building envelope and FROTH-PAK™ kits in basement rim joist areas, as well as WEATHERMATE™ Construction Tape on the walls for a complete seal. Clearsphere John Godden of Clearsphere provides third-party project management and energy modeling to ensure the project runs smoothly and achieves the highest level of energy efficiency possible. 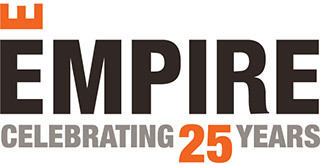 With over 25 years working with sustainable homebuilding solutions, John has become Empire’s go-to for a unique perspective and hands-on approach to energy efficient homes. Panasonic Providing solar systems and ventilation products, specifically bathroom fans and solar panels for an energy-generating and storage solution. Dettson Providing furnace and A/C. Vanee Contributing energy recovery ventilation (ERV) and heat recovery ventilation (HRV) systems. Airmax Contributing furnace and hot water combination systems in more compact sizes than we are currently using. Renewability Providing power-pipes for drain water heat recovery. Greyter Providing a grey water recovery system.